The session recently decided it was time for us to purchase new Bibles for the pews. We have been using the Revised Standard Version for many years. Many of us are used to its language for our favorite passages. It feels like an old friend when we turn to it for comfort and understanding. But, times change, people change and our understanding of the language and how we speak with one another changes. So we have purchased a more recent translation, the Common English Bible (CEB), for use in our worship services. This translation was completed in 2011. 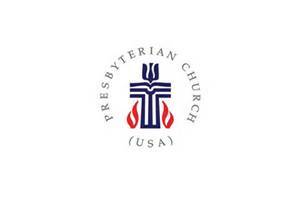 A group of denominations came together to support this new translation including the PCUSA, the United Church of Christ, the Disciples of Christ, the Episcopal Church and the United Methodist Church. They wanted to make the Bible accessible to new generations using more natural wording. It will sound different at first, particularly when you hear favorite passages. And it will bring fresh understanding as you hear different word choices. 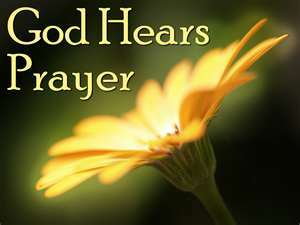 For example, the translators have chosen to use the word harass rather than persecute, human one rather than son of man. The new Bibles are on their way. I encourage you to get to know them when they appear in the pews. We will use them for reading Psalms during worship in the coming months. 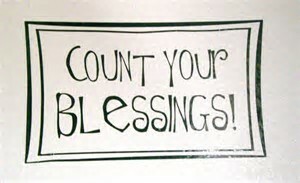 You can also check out the website -- http://www.commonenglishbible.com/home ~ to see for yourself what it is like. You can look up your favorite passages there and compare the word choices with what you are used to. Think about what you like about the new and the old. The words we use to describe our experience of the holy are symbols pointing us toward God. Consider this collection a new set of signposts for us to follow along the way. Let me know what you think of our new Bibles as you get to know them better during the coming months. 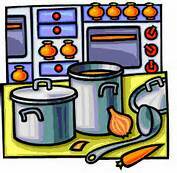 The Westfield Community Kitchen invites our members and friends as guests to dinner on Wednesday, April 5, at 5:00 p.m. at the Methodist Church. The kitchen is not only a place that provides nutritious meals to those in need, it is a time for fellowship. 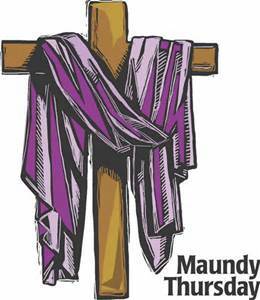 The Worship & Music Committee will host an Agape meal on Maundy Thursday, April 13, at 6:00 p.m. in the Church Parlor. We will consider what the last supper Jesus had with his disciples might have been like, including looking at the Jewish tradition of a Seder meal. Members and friends of the community are invited to attend. Please make reservations by calling the church office/326-2643. The Westfield Ministerial Association again will sponsor a gathering at Noon on Good Friday, April 14. The annual gathering has been a common way of participating in the passion and suffering of Jesus Christ as a Good Friday service of remembrance. A walking journey with various stops reminds participants of different moments of Christ's passion journey and encourages reflection and contemplation. The gathering will begin at Noon on Good Friday. People are asked to gather at Moore Park Gazebo for opening devotions and the First Station. They will then walk to First Presbyterian Church for the Second Station and then to St. Peter's Episcopal Church for the Third Station. There will be two options at St. Peter's. Those who have difficulty walking may choose to remain at St. Peter's for the remainder of the Stations. Those who are able may choose to continue the walk. People are free to join the gathering and leave at any point. 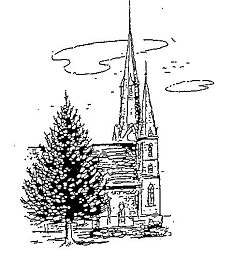 In the case of inclement weather, the entire gathering will be held at St. Peter's Episcopal Church. 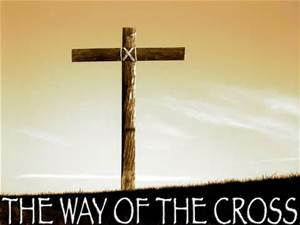 The churches of Westfield invite and welcome all interested people to journey the Way of the Cross with them. "Tenebrae" is the Latin word for "shadows" or "darkness." The Tenebrae service has been celebrated by the Christian church for hundreds of years. The service consists of readings, congregational responses and sung responses ~ all of them centering on the events of Good Friday. As the service progresses, the lights are dimmed until finally we leave the sanctuary in darkness and silence. Calling all kids (moms, dads and grandparents, too!) 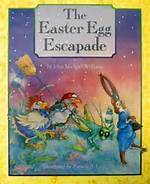 ~ don't miss all the fun at the Easter Egg-scapade. All kids, ages "walking twos" through 5th grade be sure to join us at First Presbyterian Church at 10.00 a.m. on Saturday, April 15, for a super time! We'll be having the Great Easter Egg Hunt (don't worry, moms and dads, our hunts are done by age groups so that everyone has a chance to find eggs) followed by egg dying and decorating and an age-appropriate craft. All kids will have the opportunity to have their picture taken with the Easter Bunny. Lots of fun and laughter guaranteed! We hope that you and your child(ren) will be able to join us for this most enjoyable morning! 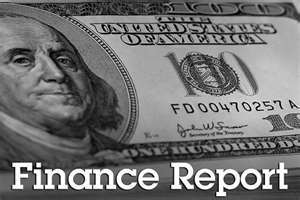 If so, please call the church office by Monday, April 10. This helps us plan for craft supplies. If you have any questions, please call the church office/326-2643. 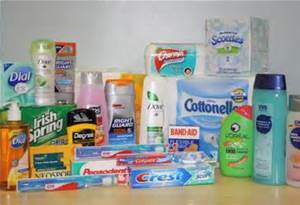 April is our month to collect Personal Care items for the Westfield Food Pantry. Items needed: Toothbrushes, toothpaste, mouthwash, denture care products, men's shaving items, women's personal care items, shampoo, conditioner, bar soap and hand lotion. Please try to contribute some of these needed items for those less fortunate. Items can be placed in the shopping cart at the entrance to the church or in the church office. The pantry greatly appreciates our help! Presbyterian Disaster Assistant (PDA): PDA works alongside communities as they recover and find hope after the devastation of natural or human-caused disasters. Presbyterian Hunger Program (PHP): PHP takes action to alleviate hunger and the systemic causes of poverty so all may be fed. Self-Development of People (SDOP): SDOP invests in communities responding to their experiences of racism, oppression, poverty and injustice and educates Presbyterians about the impact of these societal ills. Following the call to order by Moderator Rev. Catherine Rieley-Goddard and devotions and prayer, the Session took up the work of the church on Tuesday, March 9, 2016. ~ Removed Janet Odell's name from active membership rolls due to death. 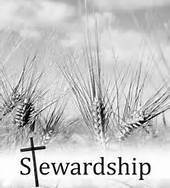 ~ Transferred active membership of Walter and Sylvia Brown to Lighthouse Christian Fellowship Church, Westfield. ~Approved the use of Fellowship Hall and Kitchen to Westfield Hospital Auxiliary on April 1, 2017, for a chicken and biscuit dinner. 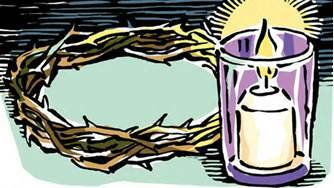 ~ Approved the Sacrament of Baptism of Norah Louise Johnson, daughter of Jamie Scarpine and Tim Johnson on Easter, April 16, 2017. ~ Approved the use of the parlor for Chautauqua County Habitat for Humanity on April 12 from 7 p.m. to 9 p.m.
~ Approved the purchase of Common English Bible pew bibles. ~ Easter Egg-scapade will be held on Saturday, April 15, 2017 at 10:00 a.m. in Fellowship Hall. The Worship & Music Committee of the Session of the church is now accepting donations given as Easter memorials of your loved ones. 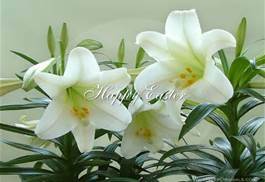 The contributions make possible the palms on Palm Sunday and the beautiful display of Easter lilies which so enhance our worship service on Easter. 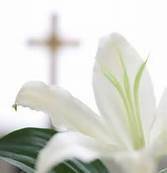 As we rejoice at the news of our Risen Lord and Savior Jesus Christ, it is a most fitting tribute that we remember those whom we love and who have gone to share in his great Kingdom. The price per lily this year is $11.00. 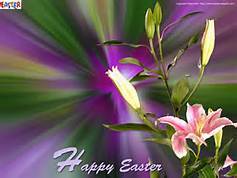 If you would like to give an Easter Lily as an Easter Memorial or Honorarium please call the church office/326-2643. After the Easter service the lilies are distributed by the Deacons to the ill and shut-ins. Should you wish to take your donation to one of our members or otherwise, it is important to let us know your intentions so enough lilies can be ordered. Kay Hall, Gwen Farver, Ruth Stacy, Doc Near, Dorothy Near, Betty Reid, Enid Beadle, Bev & Les Yeaney, Norma Vanderpool, Don Strobl, Ethel Scarpine, Gloria Colgrove, Lillian Saunders, Tammy Rothwell, Erma Lloyd, Jim Scarpine. 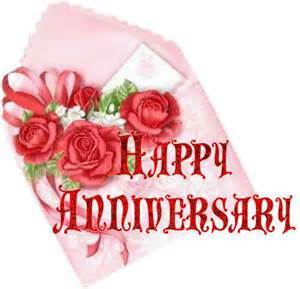 Darrell Colgrove, Mary Grygier (Sister of Elaine Parker), Mike Strada (Brother of Elaine Parker), Abigail Jopek, The Pandolph/Peary Families (Friends of John Daily), Linda Smalstig, Cathy Vilardo-Strobl, Lois Lindstrom (Mother of Kathy Ricketts). 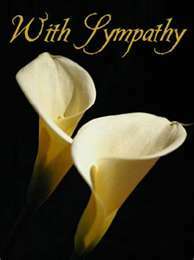 Our thoughts and prayers continue to be with all who recently have lost loved ones. 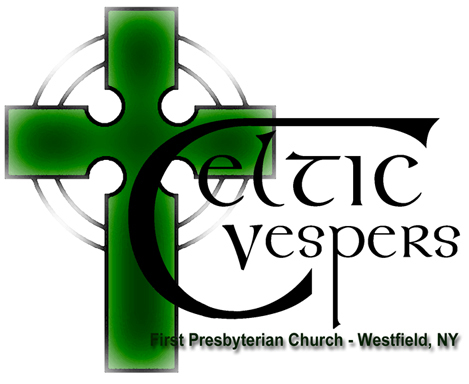 Influenced by and based on ancient Celtic worship as well as its modern survivals in such a worship communities as the famous Iona Community in Scotland, Celtic Vespers is a beautiful service of evening prayer. Featuring responsorial Psalms, prayers from the Carmins Gadelica, a candlelight procession, a brief incense rite, music based on Celtic tunes and even a recitation of The Lord's Prayer in Gaelic, Celtic Vespers will offer a truly unique spiritual service. Please join us on Thursday, April 20, at 7:00 p.m. ~ and bring your family and friends! 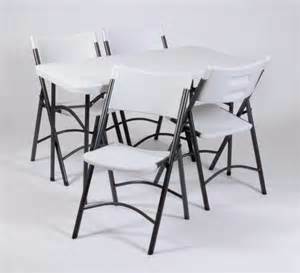 NEWS ALERT...To date donations have been received to purchase 4 tables, 50 chairs and a chair storage rack. The goal of 100 chairs is halfway achieved. We thank all who have donated to the BUY A CHAIR campaign and encourage others to consider a contribution which will enable us to buy 40 more chairs. The Ministerial Association is sponsoring "Story of God Musical" - a captivating theatrical journey from Genesis to Revelation - on Friday, April 7, from 7:00 - 8:30 p.m. in the Westfield Academy Auditorium. Free admission - a free-will offering will be taken to benefit the production company.